The Next Step Catch Up? Riley helps the team get ready for competition by doing anti-bullying exercises. Everyone learns the different types of bullying behaviour and how to deal with it. 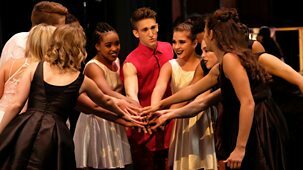 The Next Step arrives for day one of regionals, and A-Troupe is feeling the pressure. A-troupe's ability to work as a team is put to the test when the dancers find themselves locked in an escape room. A proposition from Lily compels Davis to make a decision that could drastically affect A-Troupe. 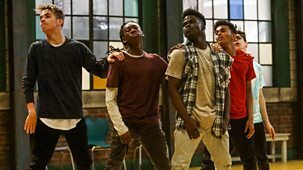 When two surprise guest judges visit The Next Step, A-Troupe vies for featured parts in the regionals hip-hop routine. A five bonus point advantage for regionals hangs in the air as Summer, Amy and Lily compete for the top soloist title. Reality-style drama series. Amy feels the pressure when she and AcroNation dances off against various studios for the Wild Card spot at regionals. Reality-style drama series. The announcement that TNS is going to hold a prom sends the dancers into a 'promposal' frenzy with surprising pairings. 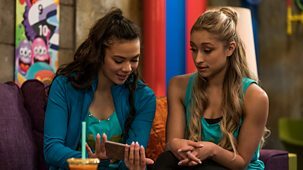 Summer is tricked by dancers who are threatened by her, while TNS rents out some rehearsal space to a new dance team, AcroNation. Series 5: 17. Oh Brother! Why Art Thou Here?